Modern Iron Works Ltd. is currently accredited to ISO 9001:2008, which is the internationally recognised quality standard for design and manufacture. Each new model McCabe Towbar is designed and manufactured to the latest European towbar standard Regulation 55 (55R). 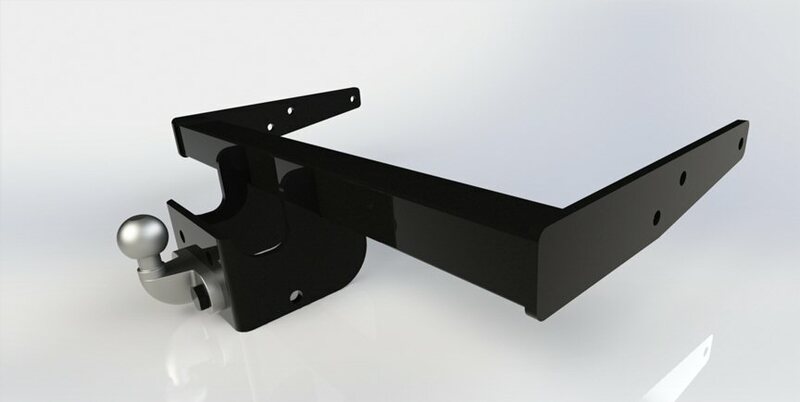 The initial design stage requires us to get the specifiec towbar mounting points for the vehicle, from the vehicle manufacturer. 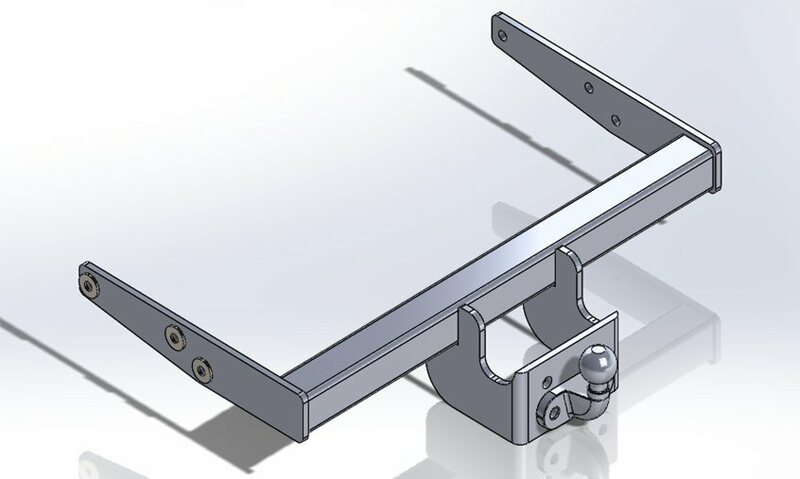 The vehicle is then brought to our design workshop where a towbar is designed using modern computer aided design (CAD). 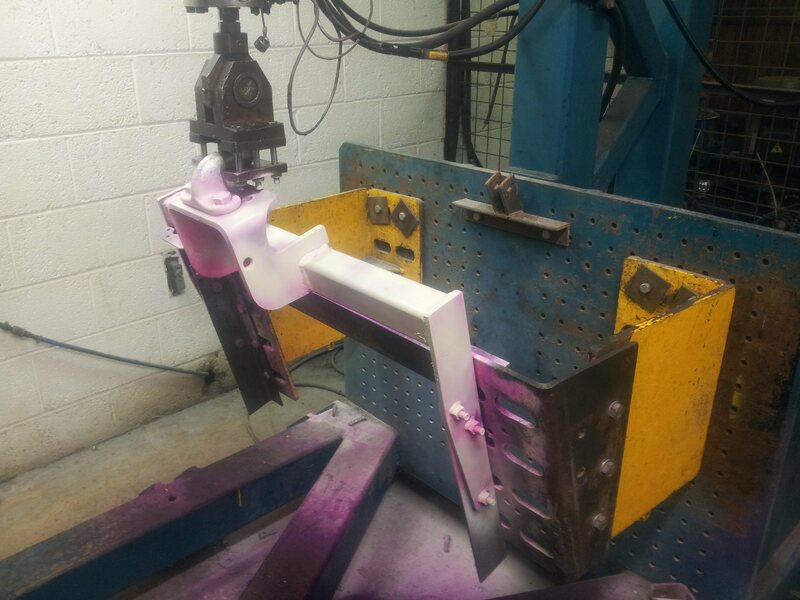 Once we are happy with the prototype, it is tested on our in-house testing facility to the standard laid out in Regulation 55, where the towbar must withstand 2,000,000 cycles at the maximum load which simulates the lifespan of the towbar. When the towbar has passed the test, the results are verified by either the VCA in the UK , TUV in Germany or RDW in The Netherlands and then the Type Approval is issued. VW T5 Towbar Mounting Points. 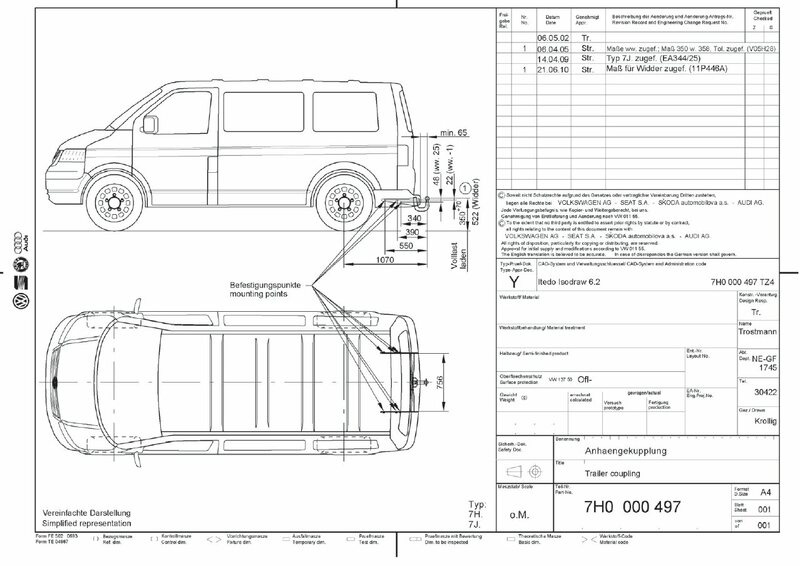 VW T5 initial 3D design Drawings. 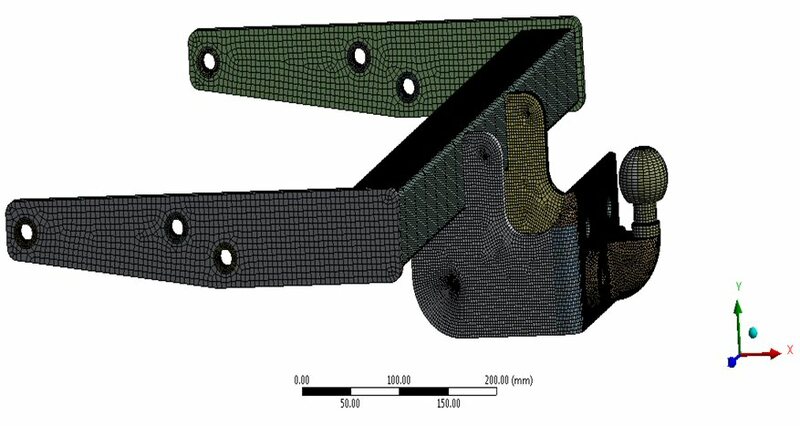 T5 Towbar meshed in preparation for FEA (Finite Element Analysis) Tests. 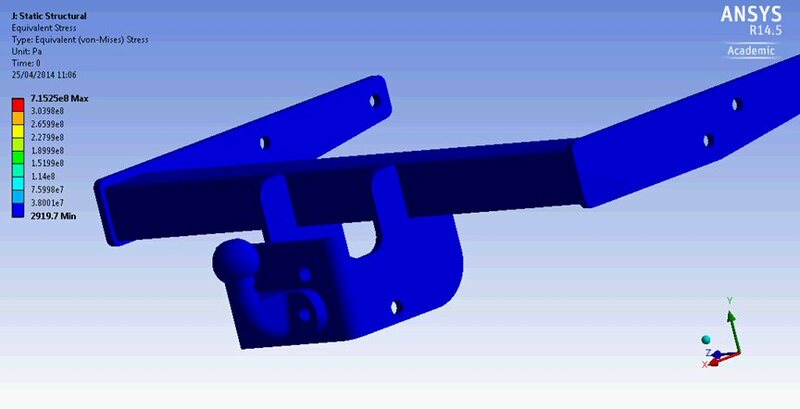 VW T5 Towbar Global Boundry Conditions during FEA. 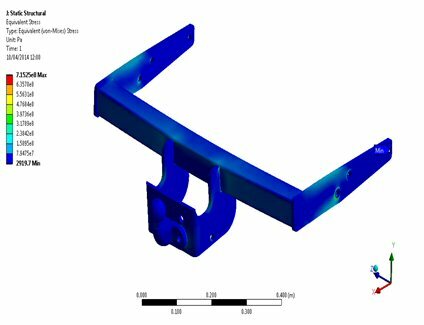 VW T5 Towbar Submodel Equivalent Stress during FEA. VW T5 Towbar Total Deformation during FEA. VW T5 Initial Equivalent Stress during FEA. 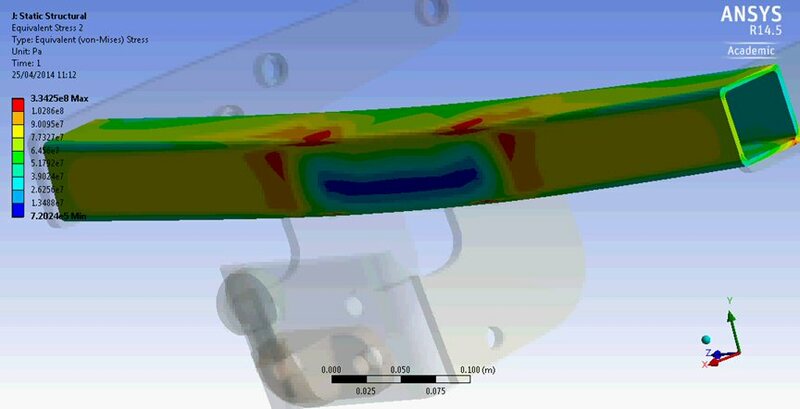 VW T5 Towbar Global Equivalent Stress during FEA. VW T5 Towbar mounted on the in-house testing machine. 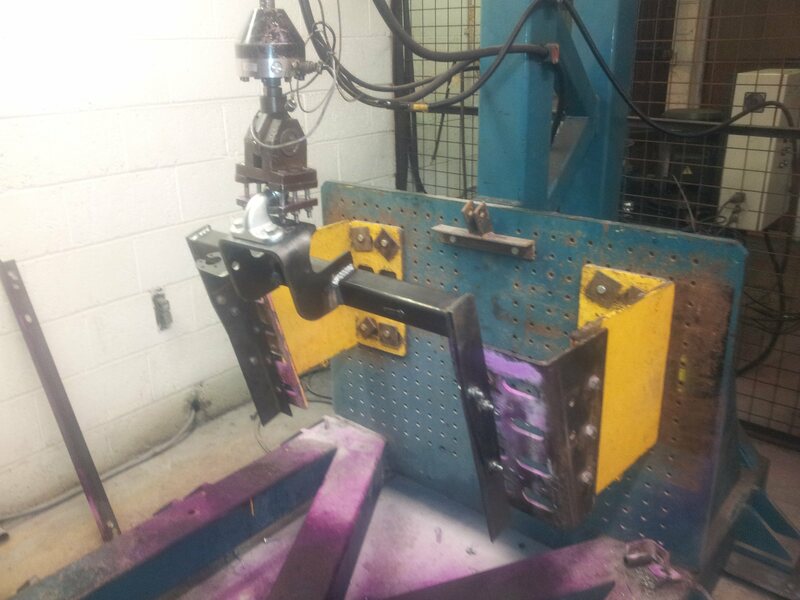 VW T5 Towbar during the dye penetrant crack detection process. 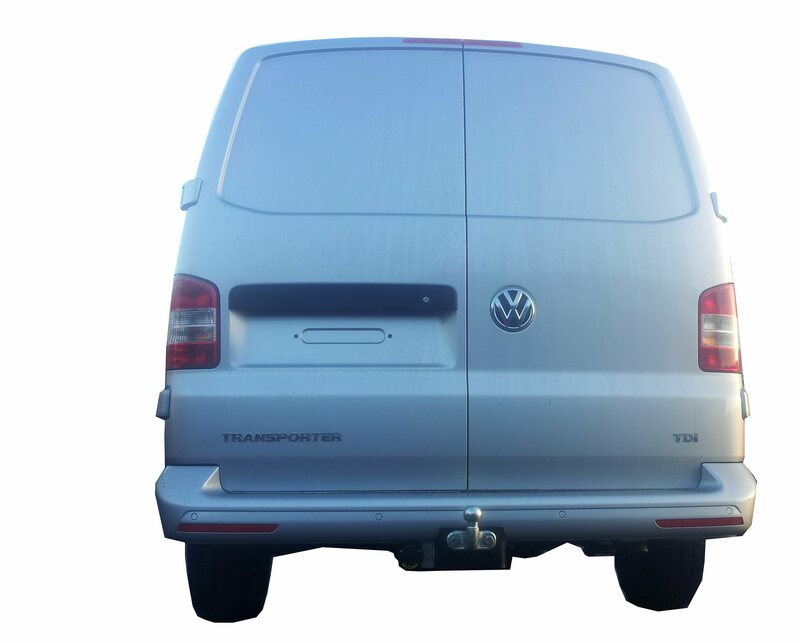 VW T5 Towbar Fitted to Vehicle.